Focused Healing allows Templar to heal ally at least 100% better if he stands in one of your areas of protection. As you know there are 3 areas that the class can use: Rite of Passage, Cleansing Ritual, Rune Focus and each of these spells will become more beneficial. It is a very good passive for those players who choose healing or support role. The extra healing bonus is amazing. Just imagine: your target will receive at least doubled restoration effect. 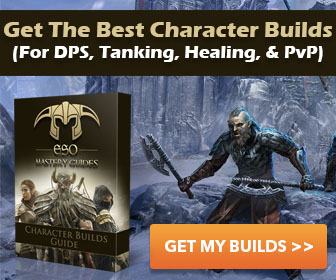 You will spend less time and Magicka energy to save your allies. If you see a group of your allies fighting against enemies you can cast area of protection under your allies fist and then start healing. This will make your restoration spells much stronger and you will be able to save Magicka energy. Your HPS will increase. Your allies should try to stand into the area and not to leave it. They should use any spells to immobilize enemies and continue fighting standing within the area. If you see that an enemy Templar creates area of protection under your enemies you should try to pull them out of the area because it will be much more difficult to kill them while they are standing into the area. Any player within the area receives extra protection and may also receive extra healing from the Templar. You should remember that any protection area is not just a protective spells. It may give enemy Templar awesome bonuses while healing targets in the area.